Members of the Ararat Men’s Shed have given the thumbs up to the start of construction for their new workshop at the Kokoda Park site. Members of the Ararat Men’s Shed tour the new Kokoda Park site. Construction of the brand new facility will include two sheds being erected to provide flexibility of space and allow for future expansion and connection with an amenities room. Contactor Onley’s Holdings Pty Ltd from Donald was the successful tender applicant for the project. 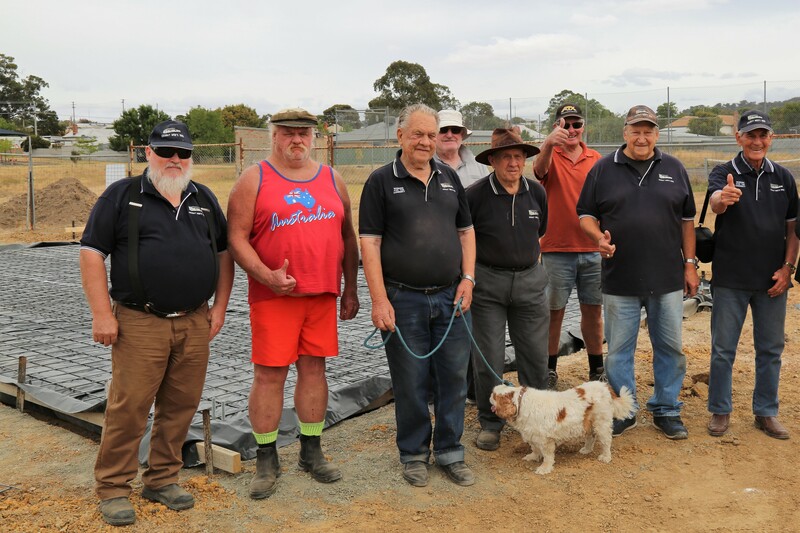 Men’s Shed members got the opportunity to visit the site and inspect the foundations prior to the concrete slabs being poured. Steel frames are currently being manufactured. The project is being funded through a joint contribution from Ararat Rural City Council ($94,000) and the state government ($60,000). Ararat Rural City Council CEO, Allan Bawden said the old clubrooms at Richardson Oval no longer suited the needs of the Ararat Men’s Shed group. “The Ararat Men’s Shed are a strong community group that have grown in numbers in recent years and this new facility will ensure they remain long-lasting into the future,” he said.